Designed by BSA to be the finest PCP target shooter, the Gold Star represents the pinnacle of the BSA range. The Gold Star's main selling point is its superb ECHF (Enhanced Cold Hammer Forged) barrel that is excellent at providing shot to shot consistency as well enhanced precision for the ultimate target shooter. The barrel is equipped with an air stripper to remove turbulent air from around the fired pellet and is attached via ½inch UNF thread so it can replaced with a silencer if so desired. 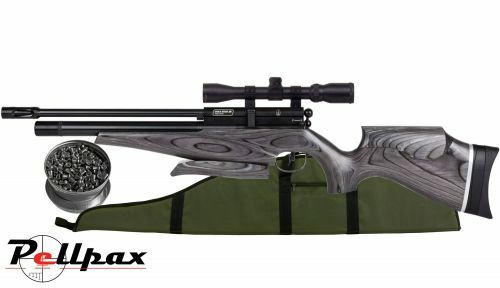 The stock features a variety of adjustable elements to fit the shoulder of any and every shooter and is made from a durable laminate composite that is not only strong and light but also looks fantastic.